So, why do I support New Gingrich and his work ethic rhetoric? Needless to say, I STILL think the Occupy movement is/are a bunch of unbathed delusional self entitled whining (bawling?) crybabies. Liberal Democrats somehow believe that some folks are entitled to suckle at Lady Liberty’s bosom from cradle to grave, generation after generation. They are wrong. Perpetual multi-generational dependency on the government offers nothing to the individual except parasitic dependency on hard-working American taxpayers. Naturally government dependancy also ensures a good portion of the Democratic Party voting bloc. In the America where I live self sufficiency is the key to success. Don’t get me wrong, I am not a social Darwinist. The government should and does provide a safety net to those who need help. Just as the circus tightrope walker has a safety net just in case, the government clearly has a proper role in assisting people. However, even at the circus you do not see the tightrope walkers,their immediate families, their ancestors and descendents permanently living on that safety net when they fall. (How’s THAT for a metaphor??) They use the net if they fall, then they get up and get back on the tightrope. TALK TO ME- AM I WRONG, RIGHT OR SOMEWHERE IN THE MIDDLE??? 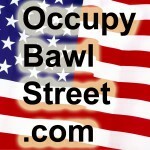 This entry was posted in Politics, Culture and tagged occupy bawl street, occupy wall street, commentary, opinion, Newt, Newt Gingrich, rhetoric, work ethic, government dependancy, entitlement, Democratic Party by obs. Bookmark the permalink.